What's New: Guerlain, Fresh and Perricone MD | Top Beauty Blog in the Philippines covering Makeup Reviews, Swatches, Skincare and More! Three new great and exciting skincare products from Guerlain, Fresh and Perricone MD perfect for tightening, refining and purifying the skin. Umbrian Clay Purifying Facial Toner helps to clear skin of impurities while absorbing excess sebum for a smooth, healthy appearance. Formulated with Fresh's proprietary mineral-rich Umbrian clay, as well as cinnamon bark, burnet root, and lavender floral water, the refreshing liquid formula balances and clarifies the complexion without stripping skin of essential moisture. Radiance in a Flash Instant Radiance & Tightening has a gel texture, thanks to a blend of three film-forming raw materials that support a tightened, refreshed-looking complexion. Formulated with rosy and gold pearls, it enhances the skin’s radiance and reveals a healthy-looking glow. This refreshing, lightweight product is scientifically formulated to fight the first signs of noticeable pores, dullness, and uneven skin texture with Dr. Perricone’s patent-pending Nrf2 Antioxidant Support Complex™. It gently exfoliates, clarifies, and refines skin’s surface — providing a natural, healthy-looking radiance and softer, smoother-feeling skin. 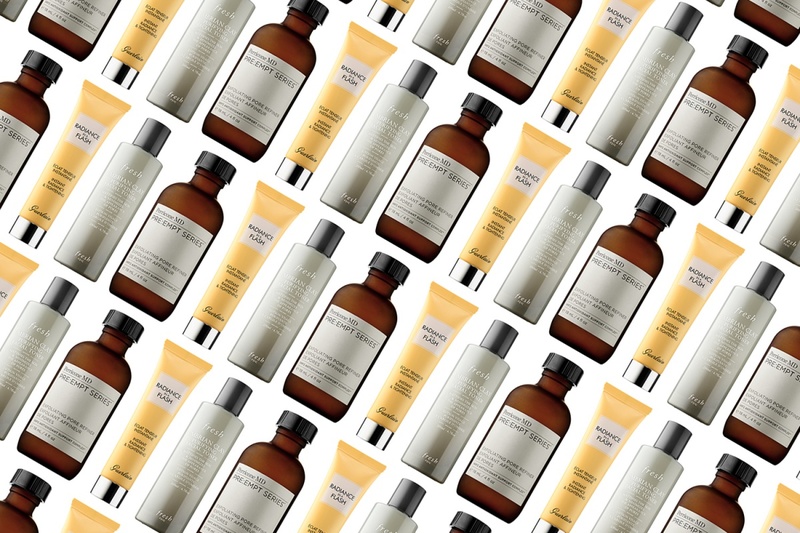 These products sound great for prepping your skin for the summer. I'd love to try that Pore Refiner! I love Guerlain. Thx for sharing. These products sound amazing, thank you for sharing!